Our Special Cheque & Credit Service provides you an opportunity to customise the way in which you present your organisation to your customers. See brochure link below for a user guide to ordering special cheques and credits. 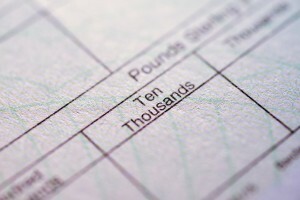 The guide covers custom cheques and credits available to Clydesdale Bank customers. Pricing for Special Cheque & Credits are found at the Please refer to the Special Cheque & Credit Catalogue for product types, specifications and reference numbers indicated in this Price List. Please use links below to access pdf documents for Special Cheque & Credit Ordering/Reordering Forms. Simply type into the form and then click on the email address (clydesdalebank@tallgroup.co.uk) at the head of the form to send back to us. Please feel free to contact our Customer Service Team at TALL Security Print on 01928 579200 if you have any problems. The form below is for special cheque – Bank Approval Use Only.